Le Pen say her policy is "economic patriotism and intelligent protectionism." PARIS -- French presidential candidate Marine Le Pen said she would seek to repatriate production of French vehicles and other industrial goods - just as President-elect Donald Trump hopes to do in the U.S.
Trump has threatened to slap tariffs on cars made abroad, saying the practice costs American jobs. He has praised Ford Motor's decision last week to scrap a plan to build a plant in Mexico, and Fiat Chrysler Automobiles' confirmation of plans to create 2,000 jobs at its U.S. factories. Asked whether she would like to see the same thing happen with French manufacturers Renault and PSA Group, the National Front leader said: "He [Trump] is putting in place measures I have been demanding for years." 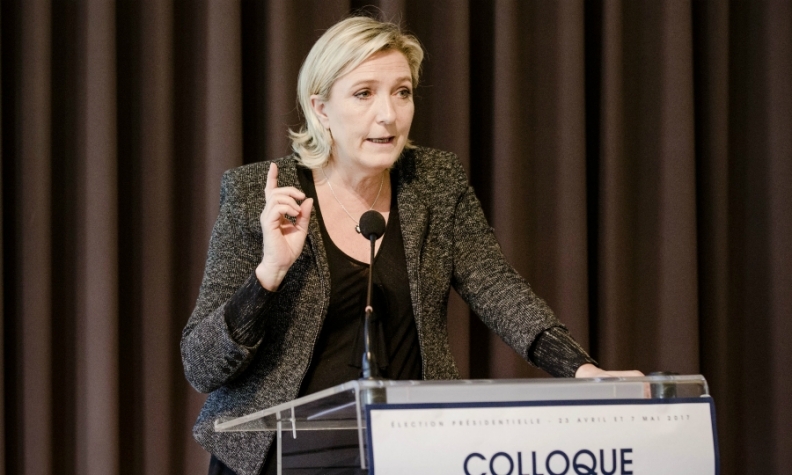 Speaking on France 2 Television, she described the policy as "economic patriotism, [and] intelligent protectionism." "I don't mind explaining to French companies that they cannot escape tax that they should be paying in France, that they cannot go offshore without suffering the consequences ... A choice has to be made, a choice of patriotism." Both Renault and PSA have significant car and parts-making activities in southern and eastern Europe, according to the Automotive News Europe plant assembly map. The automakers have met with domestic opposition over plans to expand production in low wage North African countries. Other candidates in France's spring presidential election have praised Trump's attitude on Ford, including Socialist Arnaud Montebourg and left-wing independent Jean-Luc Melenchon. Le Pen's protectionist and anti-globalization agenda has helped win her widespread support in her campaign. Most opinion polls show her contesting, but losing, the second and final round of the presidential election in May with Francois Fillon who represents conservative party The Republicans. Industrial policy is one of the key differences between the two. Fillon has a liberal program aimed at rolling back state involvement in corporate life. On Dec. 1 he advocated selling government holdings in major companies, saying the government's near-20 percent stake in Renault was pointless and could not prevent it from building factories abroad.